For every one who wants to know little about ancient Gods And Goddesses and all interesting history parts where they had their fingers in.There are many myths about gods and people over centuries,that I will post here so if you love myths,gods and goddesses keep following this blog and you will learn everything about ancient history and Gods and Goddesses that ruled the earth over centuries.I will post how tribes and nations worshiped their gods and how did they sacrificed animals and other people to keep their gods satisfied.Interesting thing is that many tribes and nations worshiped same Gods and Goddesses,only each of them where named differently in each culture.This blog will cover nations and tribes that were Polytheistic and had believed in multiple Gods and Goddesses.In mythology there is belief that specific Gods and Goddesses had specific supernatural powers.Gods and Goddesses in mythology were immortal.Trough history half-gods are were mentioned,they were in many cases children of Gods and Goddesses and humans,some of them were immortal as well.In history they were represented as creatures or as superheroes with supernatural powers. An: God of heaven/the firmament. Enlil: God of the air (from Lil = Air); patron deity of Nippur. Enki: God of freshwater, male fertility, and knowledge; patron deity of Eridu. Ki: Goddess of the earth. Nanna, God of the moon; one of the patron deities of Ur. Ninlil: An air goddess and wife of Enlil; one of the patron deities of Nippur; she was believed to reside in the same temple as Enlil. Utu: God of the sun at the E’barbara temple of Sippar. Ancient egyptian gods and goddesses worshiping is dating in ancient times of pre-dynastic Egypt.Tribes that later formed Egypt that we know today gave each of their ancient egyptian gods an animal shape.Following the timeline,animal shape of ancient egyptian gods and godesses is taking human form so gods like Anubis(left picture) shows this trasition best because of his half-human form.Some ancient egyptian gods were born from the myths or stories,this myths came from natural disasters that happend in Egypt so Egyptian people needed an explanation for what was happening,the conclusion was that they made gods angy with their sins so Gods are returning it to them by flooding or by some other disaster.People of Egypt had strong belif in afterlife,often they buried family members with tools,jewlery,food,drink,weapons and other things that the dead could use in their afterlife.Some artifacts were found as proof of that but most were stolen by tomb thiefs later.Ancient egyptian gods and godesses were probably mostly worshiped because of people’s fear about gods rage and natural disasters. Gods and godesses of Egypt were often represented as animals or other forces of nature.Here you can find list of gods and goddesses of egypt and the shape in which they were represented centuries ago.The information shown below is drawn from areceological foundings in Ancient Egypt.You can click the particular deity you are interested in to read article on wikipedia about Gods and goddesses of Egypt. Ra is the eagle god of the sun and,he has a falcon head. Bast is the Cat goddess. Nut is the goddess of sky and stars, mother of gods. Geb is the green god of Earth, and vegetation. Horus is the god with falcon’s head, god of pharaohs and sky. 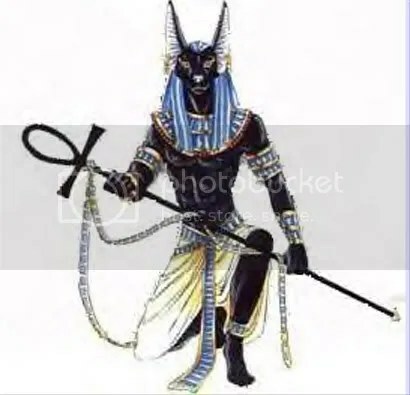 Osiris is the god of the afterlife. Isis is the goddess of magic and healing, wife of Osiris. Seth is the god of deserts and evil. Thoth is the scribe god and the god of forethought, writing, and wisdom. Ma’at is the goddess of truth. Amun is the god of Thebes, king of gods in New Kingdom. Wadjet is the goddess of pregnancy and motherhood, goddess in snake form. Anuket is the goddess of river Nile. Hathor is the goddess of the moon and children. Sobek is the god of crocodiles. Galerija | This entry was posted in antropologija, egipt, iraq and tagged antropologija, egipt, iraq. Bookmark the permalink.